Julian Berriman, the Director of the EuropeActive Professional Standards Committee visited the Go Active Conference, in Warsaw on 18 May. At the event Mr. Berriman gave a presentation on the work of the Standards Committee and the development of EREPS. He also informed the audience of the on-going plans to develop REPS-Poland in partnership EREPS. 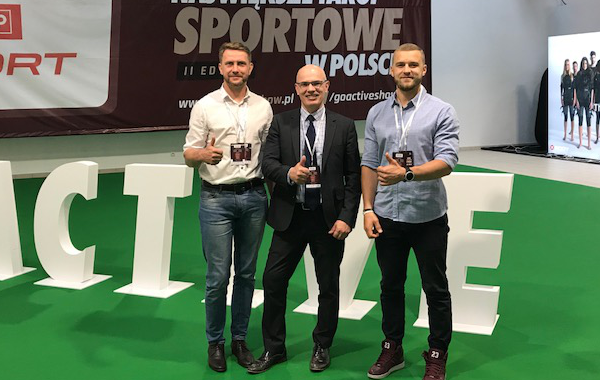 EuropeActive are working with The Polish Personal Trainers’ Association (PZTP) to establish REPS-Poland and to ensure the future professionalism of the Polish fitness industry workforce. The President of the PZTP, Bartosz Groffik also spoke and underlined the value of this initiative to those looking to develop their fitness careers within Poland or elsewhere in Europe. Proceedings concluded with an invitation being extended to all those present to attend the International Standards Meeting, in Warsaw on the 15 & 16 November. This EuropeActive event brings together key stakeholders from the fitness industry including employers, training providers, suppliers, national associations and the representatives of national registers of exercise professionals from across Europe and around the globe for lively debate in an open and inspirational environment. For more information on the International Standards Meeting click here.